Join our fast growing community and put your skills to the test with 1000 free CPA study questions. Respected author, and award-winning accounting professor, Joe Hoyle leverages over 45 years of teaching experience, to help you pass the CPA exam and launch your accounting career. You can benefit from the decades of experience he has preparing students just like you for the CPA exam. An internationally recognized expert in the field of accounting, Joe is also well known for his abilities and dedication as a teacher. WHY CPA REVIEW FOR FREE? 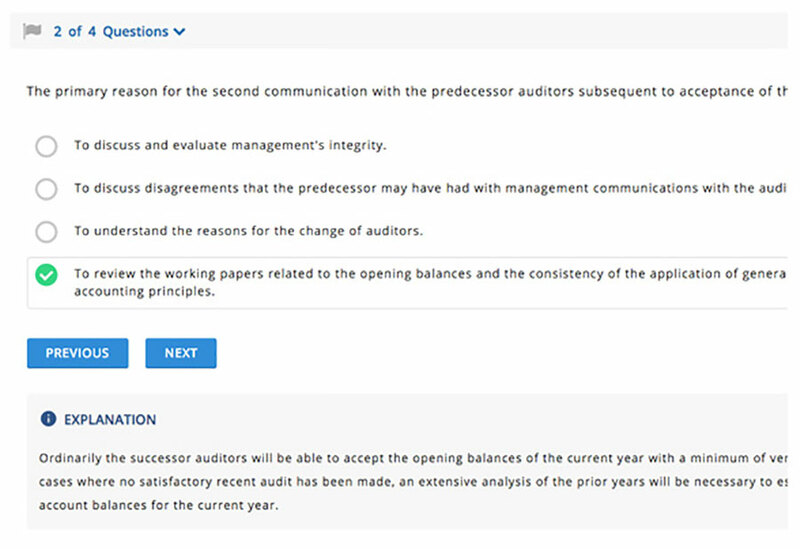 Most CPA exam prep courses use the old questions that AICPA retires from past CPA exams. These questions will not appear on the test again. The released questions do not follow any sort of structure to teach you the concepts in a meaningful way to help you pass. While a solid question bank is critical to being fully prepared it’s also important to enjoy the experience. We provide an advanced study platform for students to create custom study sessions based on a wide range of topics. 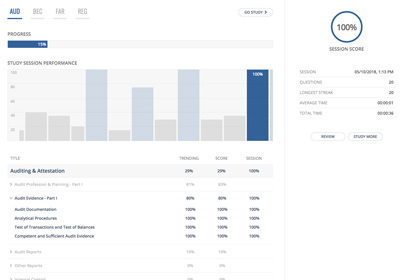 Students can choose which areas they want to study, the number of questions they wish to answer, and once they’ve completed the session we provide a smooth review experience allowing students to carefully analyze and improve their performance. 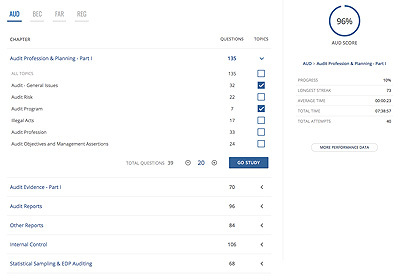 The CPA Review study platform tracks the time you spend on each question to help you better manage your time and pace yourself in the real exam. Students can also flag questions for later review. One of the features that truly sets CPA Review apart from other online study courses is our integrated community features. We provide a unique study group for CPA students, allowing you to discuss a wide range of topics related to the CPA exam. This forum allows students to work together as it integrates directly into the study experience. 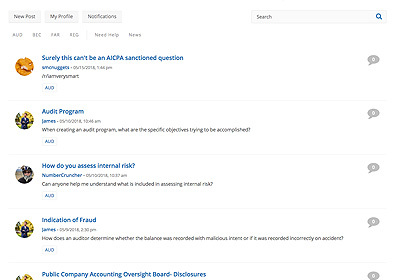 As you answer questions you can interact with posts relating to that specific question. You won’t need to jump around the site to find what you’re looking for. And if you’re having trouble you can request help from the community all within the same page. This allows our students to become connected and provide support for each other while not distracting from the study process itself. Once you've registered your account you can upgrade to our CPA REVIEW PLUS+ plan at anytime. 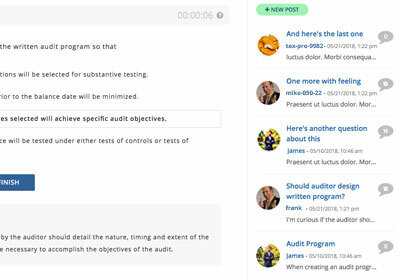 As a PLUS+ member you'll have access to more questions, practice exams, simulations, and detailed reporting and performance analytics. Learn More.